Two Fort Bragg paratroopers were killed when their vehicle was hit by an explosive device in Afghanistan this week, the Department of Defense said. Capt. Daniel Whitten, 28, and Pfc. 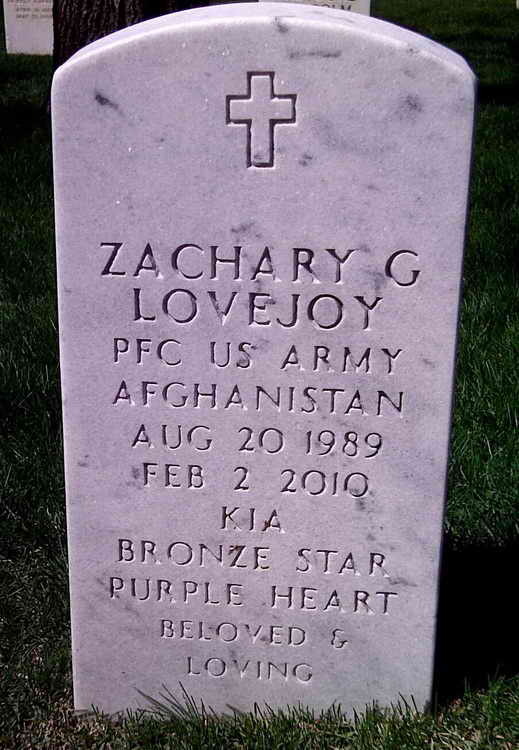 Zachary G. Lovejoy, 20, were assigned to Company C, 1st Battalion, 508th Parachute Infantry Regiment, 4th Brigade Combat Team, 82nd Airborne Division. The soldiers were on a mounted patrol when an improvised explosive device hit their vehicle Tuesday in the Zabul province of Afghanistan, the military said. Whitten was from Grimes, Iowa. Lovejoy was from Albuquerque, N.M.
"Capt. Whitten and Pfc. Lovejoy were beloved members of the task force," said Lt. Col. David I. Oclander, commander of the 1-508th PIR "They lived their lives to the fullest extent possible in everything they did. Their lives inspired us and their memories will drive us to honor them." Whitten was commissioned as a second lieutenant in the Infantry in May 2004 and subsequently attended Infantry Officers Basic Course, Basic Airborne School and Ranger School at Fort Benning, Ga. Whitten reported to Fort Bragg in March 2005 and was assigned to 3rd Battalion, 504th Parachute Infantry Regiment. He served four months in Iraq. In January 2007, Whitten deployed for 15 months in Afghanistan. Last August, Whitten became the commander of Company C, 1-508th PIR, and deployed for his third time. Lovejoy enlisted in the Army as an infantryman in August 2008, attending One Station Unit Training and Basic Airborne School at Fort Benning, Ga. He reported to Fort Bragg and was assigned to 1-508th PIR where he served as an assistant machine gunner. He deployed in August 2009 with the unit for a year-long deployment in Afghanistan. "Dan and Zachary will be missed by all of C Company," said 1st Lt. Scott Haran, a platoon leader in Company C. "We will all dedicate ourselves fully to their memory and to their legacy. To Starr and Mr. and Mrs. Lovejoy, you are in our thoughts and prayers." Whitten's awards and decorations include the Bronze Star Medal with one Bronze Oak Leaf Cluster, the Army Commendation Medal with two Bronze Oak Leaf Clusters, the National Defense Service Medal, the Afghanistan Campaign Medal, the Iraqi Campaign Medal, the Global War on Terrorism Service Medal, the Army Service Ribbon, the Overseas Service Ribbon, the NATO Medal, the Combat Infantryman Badge, the Air Assault Badge, the Senior Parachutist's Badge, and the Ranger Tab. Lovejoy's awards and decorations include the Army Good Conduct Medal, the National Defense Service Medal, the Afghanistan Campaign Medal, the Army Service Ribbon, the Overseas Service Ribbon, the NATO Medal, the Combat Infantryman Badge, and the Basic Parachutist's Badge. Whitten is survived by his wife, Starr Whitten, and his parents, Dan and Jill Whitten. Lovejoy is survived by his parents, Mike and Terry Lovejoy, and his sister, Ashley Lovejoy. A memorial in their honor will be held in Afghanistan.